May 30th 2017 – HWBOT, an organization regulating international overclocking competitions and rankings today announced its role in launching the latest generation Intel® Core™ processors High-End-Desktop (HEDT) series. Joined by partners Intel®, ASUS and Seasonic, HWBOT invited top tier international media to its second Performance Matters event of the year. Attendees we treated to an overclocking demonstration with liquid helium where the ROG overclocking team achieved the highest Intel Core i7 frequency ever at 7560 MHz and broke the World Record for SuperPI 1M and PiFast. 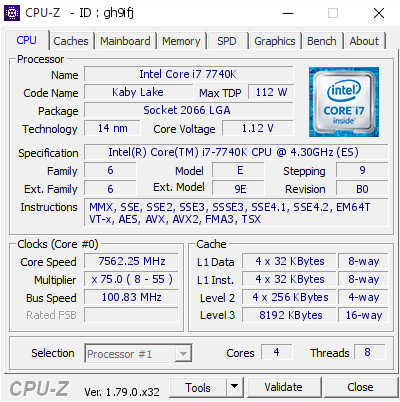 The latest Intel Core i7 processor takes the high-end-desktop platform to new performance heights. 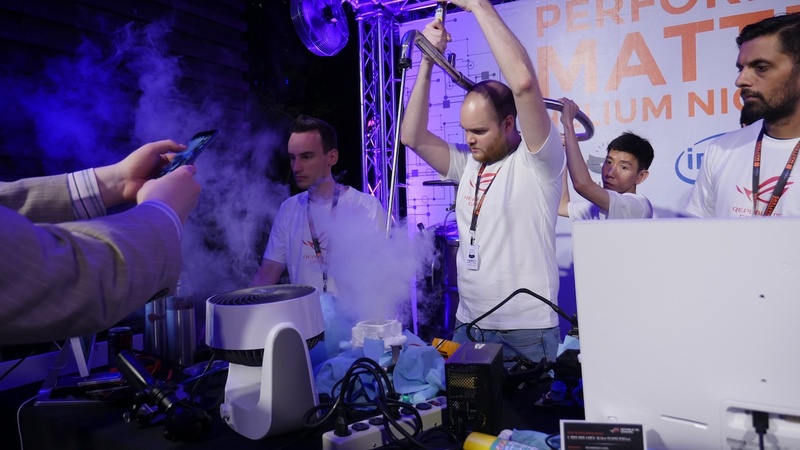 Elite overclockers from the ASUS Republic of Gamers in-house overclocking team used liquid helium to cool a Core i7 7740X to −269°C, allowing CPU cores to reach an incredible 7560 MHz. 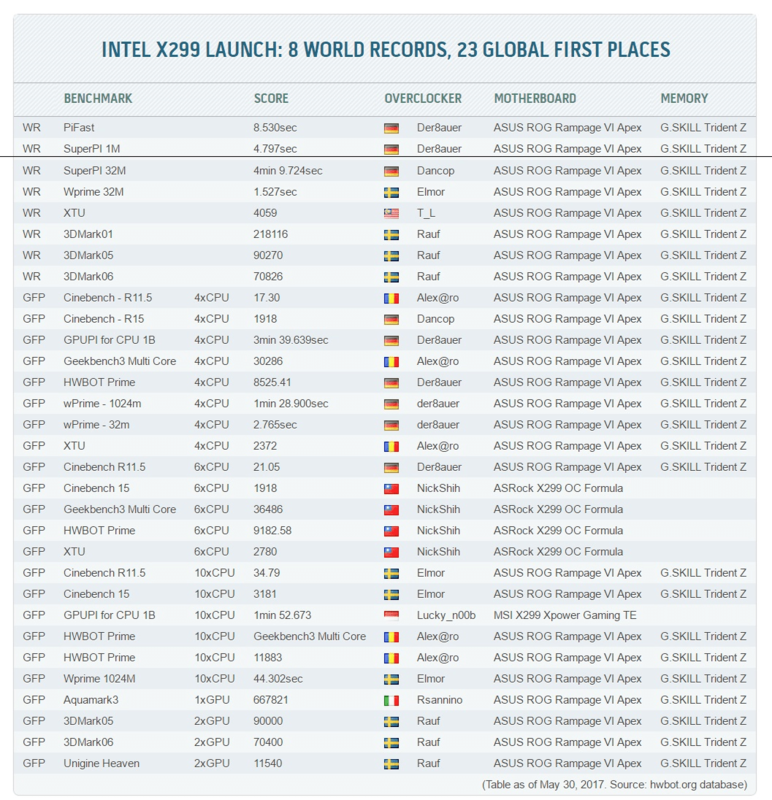 At this configuration the ROG team were able to break the World Record score for SuperPI 1M and PiFast. The HWBOT Performance Matters Helium Night event took place at the W Hotel in Taipei, Taiwan on May 29th, the eve of the official announcement of Intel’s latest HEDT platform. A top tier roster of International media were in attendance alongside representatives of partners Intel, ASUS and Seasonic. The aim of the event was to give attending media an opportunity to see the latest HEDT processor platform pushed to the limit under the most extreme sub-zero conditions possible.